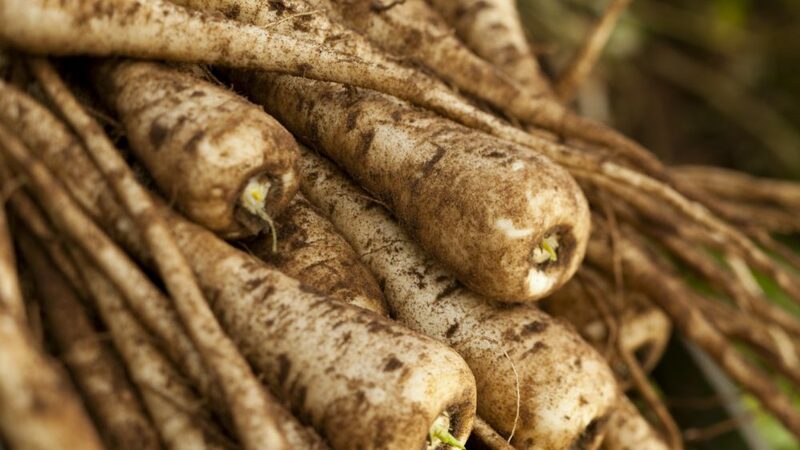 Parsnips have been around in a wild form in Europe since ancient times. Here’s a quick run down of the history of our favourite root veggie. Cultivated in Roman times (supposedly a favourite of Emperor Tiberius) and also fed to livestock, it was often used as a sweetener for cakes, breads, and jams before sugar became a kitchen staple. 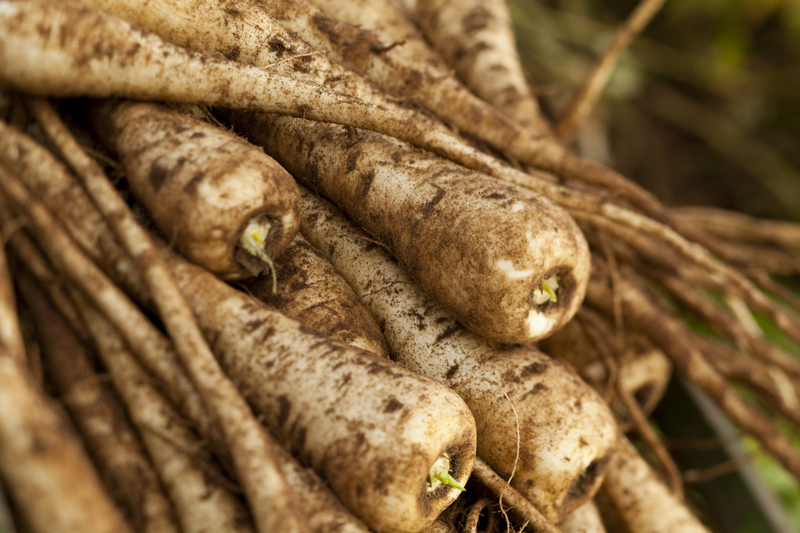 It’s believed that the British introduced parsnips to the New World when they started to colonise and settle. Despite once having been held in such high esteem in European kitchens, unfortunately, with the rise of the potato and sugar, parsnips’ popularity declined. It’s not clear whether classical Greek and Roman authors were referring to carrots or parsnips with their use of ‘daucos’ in texts–which both Hippocrates and Dioscorides do. Pliny used the word ‘pastinaca’, but he might have been referring to both carrots and parsnips. Maestro Martino da Como did have a recipe for deep-fried parsnips in his “Libro de arte coquinaria” (“Book of the Art of Cookery”) written in 1450, which shows that parsnips did have some culinary presence in the Renaissance. Eat the parsnips, Digbie urges, “without Sugar or Butter, for they will have a natural sweetness that is beyond Sugar, and will be Unctuous so as not to need Butter.” He was right about the sugar, but a knob of butter would be beyond sublime. Peel the parsnips and slice them. Put sliced parsnips in a heavy saucepan with enough milk to cover them. Bring to the boil and cook gently without a lid, taking care that the milk does not boil over, until the parsnips are tender. Take out the parsnips and process them into a puree. Put them in a greased double boiler, and add a little of the milk they were cooked in. The puree should absorb it. Add more milk, little by little, until the parsnips will take no more. This should take about half an hour. Our parsnip packs can be found in your local supermarket. Happy eating!